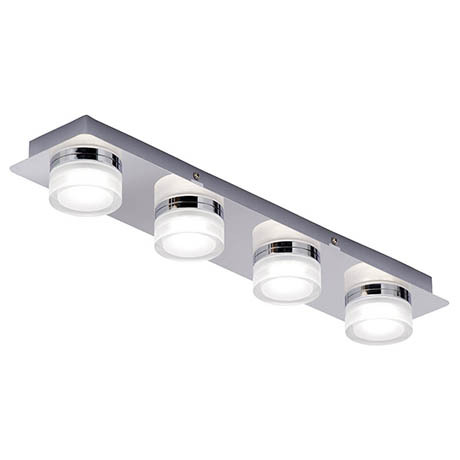 The Amalfi LED 4 Light Bar Ceiling Fitting from Forum Lighting is a stylish light fitting ideal for the modern bathroom. It features an aluminium finish rectangular ceiling plate and 4 opal acrylic diffusers. The integrated LED lamps are energy efficient with an average lifespan of 20,000 hours.